Publisher: William Heinemann, no date indicated. But no later than 1929. Condition: Hardcover, decorative cloth. Some stains and soiling, light discolouration, rubbing, etc. Interior is good. 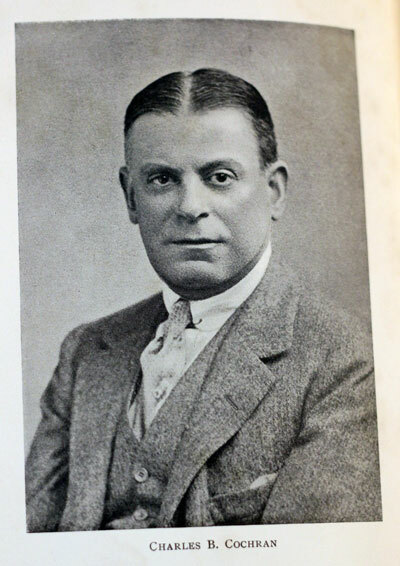 Sir Charles Blake Cochran (25 September 1872 – 31 January 1951), generally known as C. B. Cochran, was an English theatrical manager and impresario. He produced some of the most successful musical revues, musicals and plays of the 1920s and 1930s, becoming associated with Noël Coward and his works. 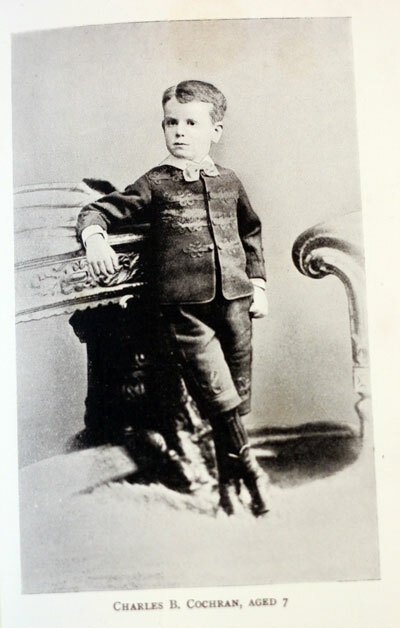 After beginning his career as an actor in America about 1890, Cochran became a manager and press agent for vaudeville, legitimate theatre and other entertainments. He returned to England by 1902 producing theatre, variety shows and revues. By the end of the First World War, he was producing shows at the Oxford Music Hall, including the surprise hit The Better ‘Ole. In addition to producing several Noël Coward works, Cochran introduced or promoted such stars as Beatrice Lillie, Gertrude Lawrence, Coward, Jessie Matthews, Yvonne Printemps and Lizbeth Webb. He also produced the Ballets Russes and, for 12 years, managed the Royal Albert Hall. being, I gather, a very good natured man, he did what he could to please them all; this he seems to have done the more easily owing to a natural aptitude to do this, that and the other. He could run a Bernhardt for a short season and the Dolly Sisters interminably ; Carpentier and Cowboys now and again with the Russian Ballet, and Houp-la with Duse, and Bat Cabarets, and see nothing stupid in that sort of a programme. If Cochran was clever, he was rather too frivolously clever. He was only mildly ambitious ; he was not entirely sure of himself; he lacked sufficient confidence to take a difficult path. 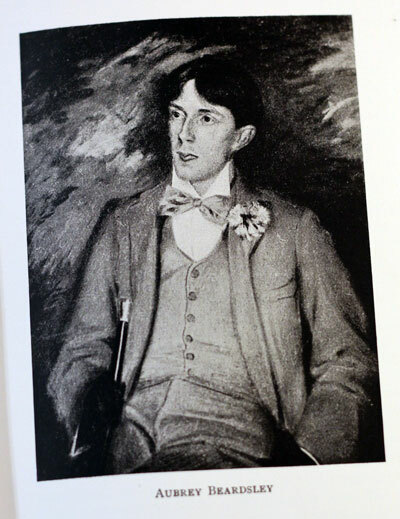 Thirty years ago when he was twenty-three, he might, for example, have been George Bernard Shaw’s secretary and then become his impresario: he might have saved Shaw a terrible lot of worry “Who’s Who in Literature ” SHA W, G. 8., etc, etc. Agent: none; transacts his own business ” – did that never catch the eye of Cochran ? 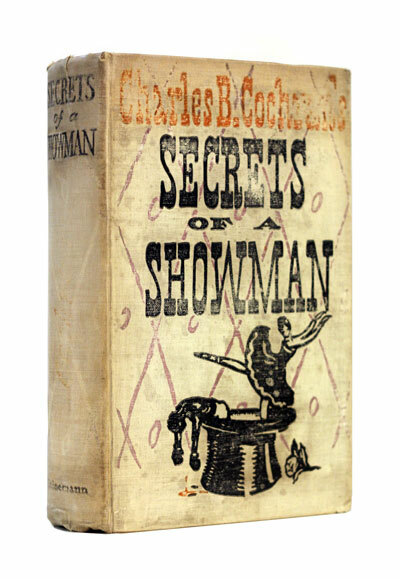 Shaw, the greatest one-man show on earth, quite the smartest business man living Shaw needed an agent ; needed one assistant, even as Cochran needed one thing to believe in and to boom. There was money in Shaw. 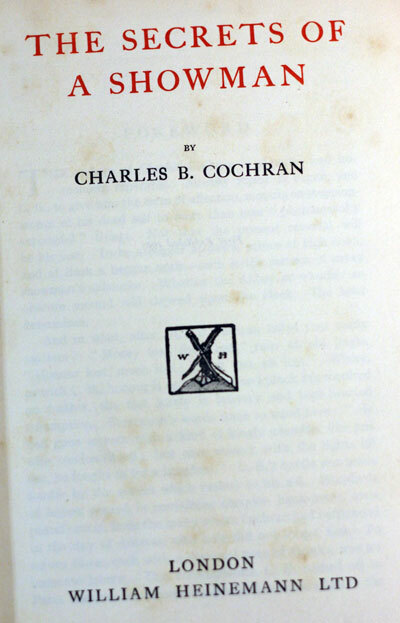 Shaw, assisted by Cochran ; provided Cochran for the sake of the final success and the big bags of money could have believed in Shaw and no one else and could have taken a back seat and worked unheard and unseen ; provided Cochran could have worn jaegers, foresworn ptarmigan, and yet retained his keen business faculties (if he has any) ; provided all this, Cochran would have been one of the very richest men living today, and Shaw quite the richest. Why, only last month Shaw was lending £i 30,000 at 5Vg P er cent for housing purposes to the Easington Rural District Council. What a pair of barges they were to pass each other in the night…. and both of ’em so well lighted up too sirens advertising the existence of each plenty of announcements as to ports at which each would call; all very safe and snug on board,… and they missed each other ! I Altogether a not very interesting book, this; in fact not far removed from being a dull one. It is too long by three hundred pages, and too expensive by about fifteen shillings. But there are some very charming photographs in the book of Mrs. Cochran, Mile. Delesia, the Dolly Sisters and others. A showman may fool the crowd all he likes; he may pretend to be this, that and the other, but I think he must be careful never to fool them about two things: he must be, not pretend to be, a genuine showman : and he must have a genuine show one his own.